Home » FAQ » What Is Administration? Once the administration process has commenced, it prevents any legal action being taken against the company, and stops any assets being removed, without a Court Order or the administrator’s permission. 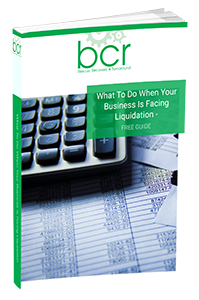 When a company goes into administration an insolvency practitioner – such as those at BCR – is put in charge of the company by assuming all control of its assets, business operation, staff etc. This is to ensure the company is managed correctly and to protect the interests of the company’s creditors. A company can be placed into administration by a court order, by a floating charge holder (usually a bank), or the company or its directors can appoint an administrator voluntarily. The process itself is very quick, taking merely a few hours once the process is put in motion. No administration order will be granted unless the holders of all qualifying floating charges have been given 5 business days written notice of the company’s or directors’ intention to appoint an administrator. The floating charge holder will have to right to appoint their own choice of administrator if they wish to do so. If you believe that administration may help you, or if you simply need advice about which way to turn next with your business then it would certainly be a good idea to get in touch with one of our insolvency practitioners for a free professional and confidential consultation. Before that though you may want to take a look at our free Recovery Guide.